This lecture will place emphasis on initial diagnosis, surgery and prosthetics to streamline procedures valuable to the patient. Limitations, complications and unique case situations will be discussed and managed via an understanding of “Decision Trees.” Case presentations will demonstrate the protocols in order for the doctor to leave confident to initiate a IL protocol immediately in their practice. This lecture will place emphasis on initial diagnosis, surgery and prosthetic designs based on bone quality and quantity, and biomechanics. This lecture will focus on evidence-based treatment planning to enhance long term success, while meeting patient expectations. 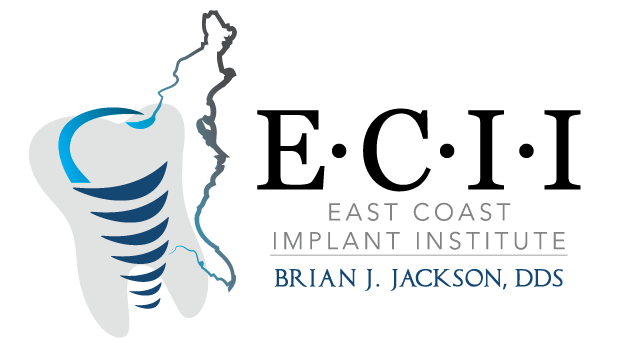 Brian Jackson, DDS is Board Certified and an implant surgeon and reconstructive dentist who has been surgically placing and restoring dental implants for 20 years. He received his Doctor of Dental Surgery degree at SUNY/Buffalo School of Dental Medicine and completed post-graduate training at St. Luke’s Memorial Hospital Centers General Practice Residency Program. Dr. Jackson competed his formal implantology training at New York University, School of Dentistry. Dr. Jackson is a Diplomate of the American Board of Oral Implanting/Implant Dentistry (ABOI/ID) and an Honored Fellow of the Academy of Implant Dentistry (AAID.) Dr. Jackson has been published in numerous peer reviewed dental journals and has presented at numerous implant conferences in the US and internationally.